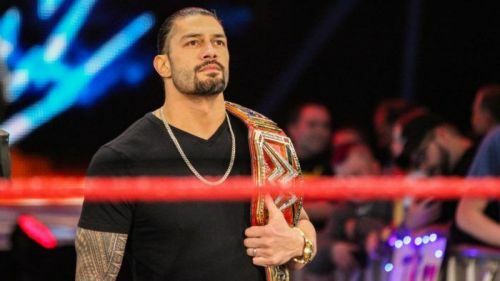 Roman Reigns’ absence has certainly derailed many plans that WWE had chalked out for the biggest show of the year. Dave Meltzer was asked about the WrestleMania 35 match for The Big Dog and the pro wrestling journalist revealed that he was originally scheduled to face none other than Dean Ambrose. On the episode of Raw on October 22nd, 2018, Reigns dropped the shocking news of his battle with Leukemia and subsequently relinquished the Universal title. The 3-time WWE Champion said that the disease had returned after being dormant for nearly eleven years and that he had already begun his treatment from October 19th. As things stand, Reigns’ treatment is going smoothly as he relishes the much-needed time away from the gruelling WWE schedule. He has been spotted making a few public appearances lately and has reportedly been training for an in-ring comeback, which should happen sooner rather than later. Lesnar captured the vacant Universal strap and will defend the title against Seth Rollins at Mania at the MetLife Stadium in New Jersey on April 7th, 2019. Reigns’ loss has benefited Rollins as the Architect is expected to dethrone the Beast Incarnate as the new Universal Champion. Ambrose, though, is on his way out of the WWE as it has been confirmed that the Lunatic Fringe will not be renewing his WWE contract after April. Ambrose would have surely stuck around if Reigns would have been fit for their reported match as it would have been one of the more prominent storylines heading into the show. He may still sign a new deal with the company if Vince McMahon somehow manages to convince him with a few creative perks as Ambrose is reportedly not too keen on the monetary gains. It will be interesting to see how Ambrose features in the scheme of things for WrestleMania 35 with his contract coming to an end. We sincerely hope this is all a work and that he does stay with the company after the show of shows. As for Reigns, we continue to pray for his speedy recovery and wish he returns to the ring as soon as possible. Wrestling mark, Melophile, Red Devil, Underachieving Oversleeper.